Welcome to the online home of First Draft Coffee. We have teamed up with The Fumbally Stables in the heart of Dublin 8 with a mission: to provide affordable coffee training and coffee classes by people obsessed with coffee! We have over 20 years customer service experience in the coffee industry and are passionate about education. So, whether you’re new to the business and want to learn some essential skills or simply want to make better coffee at home, we have a range of classes and workshops to suit your needs and budget. Photo courtesy of Vania Ling. 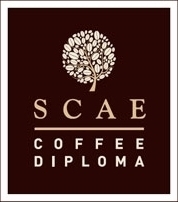 For more info on the SCAE Coffee Diploma System (CDS), please click below!